Merging or Acquiring a business is a calculated risk. At first, it may look like an attractive way to expand your current organisation, but it may end up being completely different when the process is finalised. Due Diligence is put in place to help prevent against any undesired circumstances. It is an important step to take during the Mergers & Acquisition process. Our role is to help you complete comprehensive assessments of target businesses. This will help to judge whether it is feasible to expand through the merge of multiple businesses or by acquiring a business altogether. 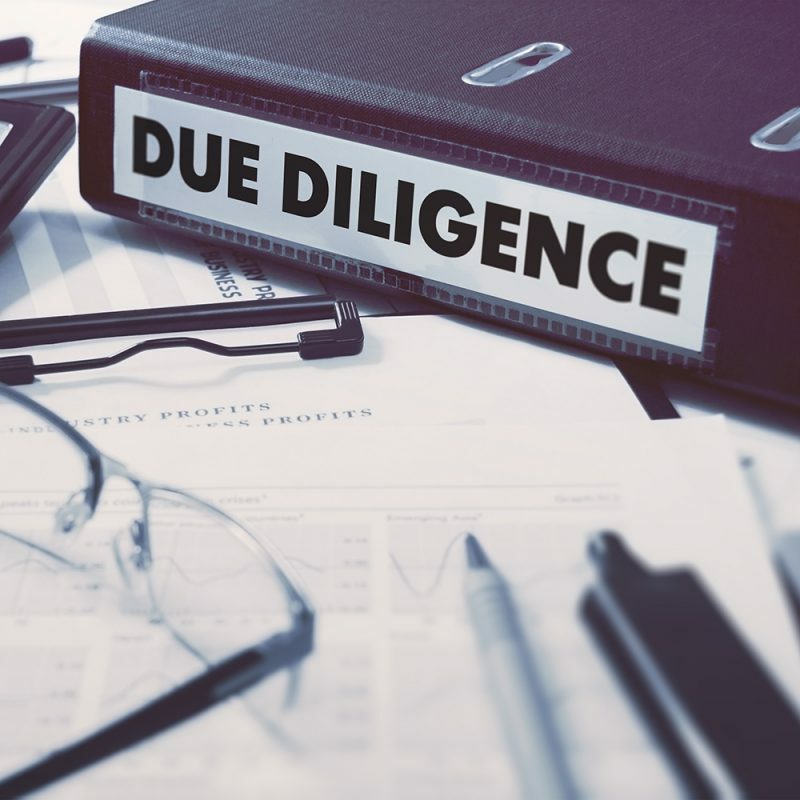 Whether you are looking to merge with your existing business, or to buy a new business altogether, Due Diligence is an important stage that should not be overlooked. It can help you to avoid short-term risk. However, it will also allow you to continue growing in the long term. The due diligence process has become more complex as businesses develop and people and their businesses become smarter in the way they operate. Are the figures they are providing ambitious, or realistic targets based on past evidence? Have the figures been reviewed against other similar business and their benchmarks? How does the target business situate within the market, and how big is its market share? Is there any room to grow the business within the market, and what would the cost be? How comfortable are the competition sitting within the industry? What would the cost be to compete on a similar with these businesses? Will the acquisition of your target cause any issues with regulators? Our Merranti Consultants with experience in the Merger and Acquisition Process specialise in the Due Diligence. We can offer a unique range of capabilities that our Consultants have experienced from their own businesses in the past, and from the support, they have provided to clients.